The reality of addiction is very clear: Stories of animals being abused and intentionally hurt only to be taken to the veterinarian, just for their owner to keep the prescription drugs to sell or take themselves. As a forensic veterinarian, Dr. Melinda Merck is very familiar with these cases. She serves as a bridge between the veterinary medicine community and law enforcement working on animal cruelty cases. “We’ve seen where people will injure their animal or fake an injury and go to 12 vets in a city in a 24-48 hour period,” the doctor mentioned. “A consequence to the opioid crisis is people are doing horrendous things to their animals,” she said. Early this week a hearing was held, Texas pharmacists asked lawmakers for an extension on the Sept. 2019 deadline to implement the statewide Prescription Monitoring Program, which tracks people’s dosage of high-risk medication, like opioids. The epidemic is now shifting its focus from humans to pets. “Similar to in human medical care where we have a guardian or a parent who is responsible for a minor, the parent’s information may be connected to that patient. You would have a human connected to your animal patient, which is who we really want to find, not the animal, per se,” State Rep. Donna Howard, D-Austin, said. “Veterinarians are required to record their controlled substances information but do not report it anywhere,” Nasr told lawmakers. The Government is now recognizing the extreme measures one will go to obtain medication and sustain their addiction. The Texas Veterinary Medical Association created a multi-part webinar series on recognizing and reporting suspected abuse to educate veterinarians, law enforcement, and pharmacists. While Choate said some people try to use their pets to obtain drugs, she said opioids would not typically be the drug of choice to treat pain for wounds or injuries for animals. She said the more powerful medications are usually injected into the animal. 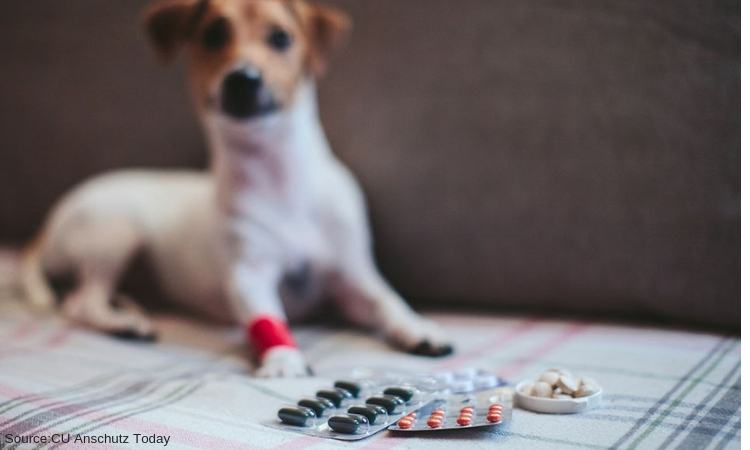 “Generally, a person cannot simply walk into a veterinary practice with an animal and walk out with a supply of controlled substances that will satisfy a human addiction,” Choate explained. Merck urged further action, in addition to the prescription monitoring program, in order to track people more quickly before more animals get hurt. Is Portugal Winning The War On Drugs? America is On its Way To Find Out.